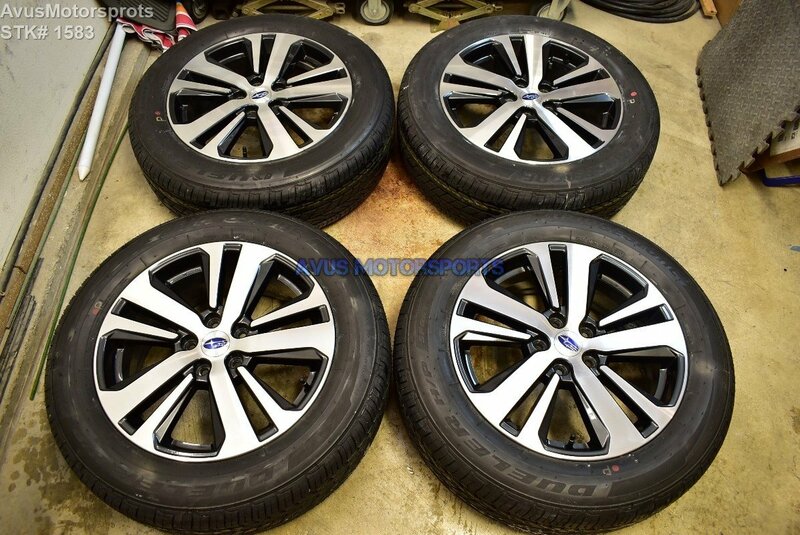 This item is for a set of (4) 2018 Subaru Outback Limited OEM 18" genuine factory wheels and Bridgestone Dueler H/P Sport AS 225/60R18 tires. These wheels and tires were removed from a brand new 2018 Subaru Outback with around 500 miles, so they're in excellent like new condition, but there might be minor blemishes (please view all pics). They were taken off because the customer installed custom wheels and tires. These wheels has NEVER been remanufactured, repaired or refinished, 100% Original!! Please do your own research prior to bidding, we don't accept refunds on fitment issues. If you need assistance please email us with the details of your vehicle. We are not liable for any damages or loss done by the shipping company. If item returned, buyer responsible for all shipping expenses, and item must be in the same condition with the same packaging.